Taken close to the last light. 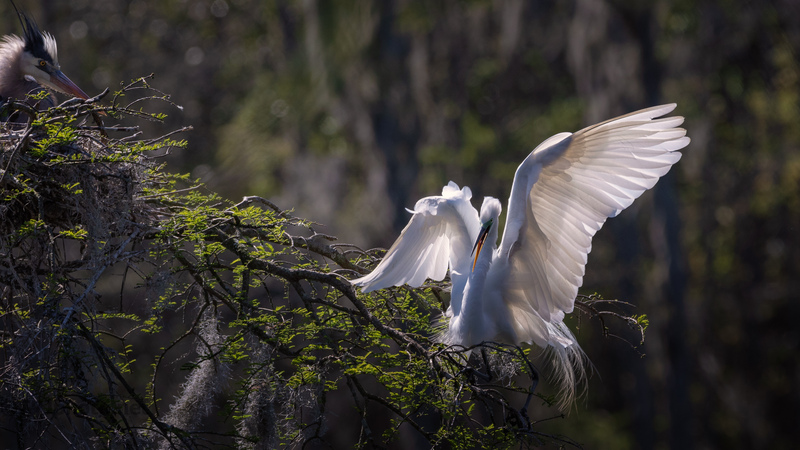 An Egret landing in a rookery tree, an unhappy Heron watching closely. A few moments before this shot the sun was low and right in our face. I could not have caught this at all. Thanks so much. That is a great spot end of day.